Welcome to the Massage Envy complaints department brought to you by HissingKitty. Experienced poor customer service? We make it easy to file a formal complaint against Massage Envy online. Simply use our free form and your feedback will be instantly forwarded for review. 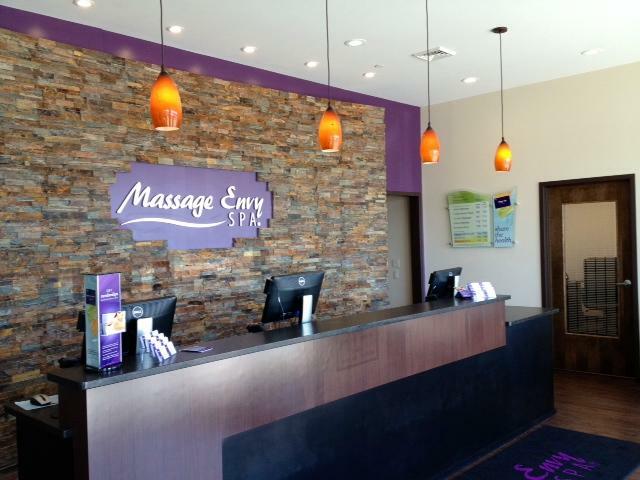 Need to contact the Massage Envy corporate office? We have the mailing address, phone number, and email address listed below. I was treated rudely by managers Maya andkaylie. Maya even told me to go ahead and report the incident to corporate as, It will only come back to me." Unbelievable!!! What a disgrace! These people won't return my call! I am very disappointed with the service. I received a gift on Valentines day of a massage. While there I was encouraged to obtain a membership which I was told could be cancelled at any time. I have attempted to cancel the direct withdraw from my banking account with the local office, I am now being told I cannot cancel my membership without a doctors note or proof that I have moved more than 25 miles away. I want to cancel my membership and have a refund of monies taken from my account. I find myself writing yet again because Massage Envy has broken an appointment that was set up by Kelcie Olson as a makeup for an appointment last week after the Tikhatnu clinic closed and did not notify me of a cancelled appointment and I showed up. This is the second cancelled appointment now on Massage Envy’s behalf, not mine. I have waited another 9 days for an appointment and thought ok I am set because Kelcie made sure I was good to go and I trusted that service promise. Kelcie was very pleasant to work with and even called me from her personal cell phone, but I wasn’t set, the south side clinic did to me what the Tikhatnu clinic has done. Cancelled my appointment last minute. I am sure you can imagine my frustration at making myself available for these appointments and arranging my schedule so I would be able to keep my end of the bargain only to be let down yet again. I was excited and really looking forward to my appointment today. This is highly frustrating not being able to use my gift cards at EITHER Massage Envy. My husband had purchased these for me at Christmas so I could have a time to zen out and relax and it has sure been more trouble trying to get an appointment and have Massage Envy commit to their service promise then it has been worth. This company is holding my funds hostage and not allowing me to use them because they are not able to follow through on a commitment to their clients. I am at a complete loss for words how any business could treat their clients this way and expect any repeat business. I don’t know about you, but my time is very precious to me and I am very emotional about the fact that it is wasted. I can forgive one error but this happening multiple times? Come on guys, this is not the right way to run a business or how you treat people paying for a service. I am writing in regards to the fact Massage Envy Tikhatnu stood me up for my appointment yesterday 3/18/19 that was supposed to be at 6:30pm. I received a call on Saturday morning 3/19/2019 to confirm my appointment to which I replied yes, I’ll be there. (You can see the call log I attached proving Massage Envy reached the correct telephone number for myself ). I drove from the airport where I work to Tikhatnu for my appointment only to find the doors locked and lights off, no signage on the doors and no response from knocking or calling the listed telephone number for this location. I am sure you could imagine my disappointment in keeping my end of the bargain, but Massage Envy did not. What I am most upset about is that I did not receive a call or cancellation email from Massage Envy notifying me of any sort of issues or changes with my set appointment. I still had the confirmation which I also attached. It took me over 2 weeks to get in for an appointment with Tikhatnu Massage Envy. I left a message for a manager last night, 3/18/2019 with no response back. I called the location this AM only to be hung up on by a very disrespectful front desk gal after explaining the situation and why I was upset. She refused to let me speak with a manager. She claimed my telephone number was incorrect and they supposedly called me. How was it incorrect if I received a confirmation call on Saturday? That makes zero sense, I didn’t change my telephone number over the last 2-3 days. Then she goes on to state the therapist called out sick. I contacted the other Massage Envy on the South Side after nobody answered my call last night. They explained there was some sort of system error and all appointments were excused, but I should have received a call from customer service informing me of this. So what is the correct story? I don’t have a problem with a technical issue, just tell me the truth and work with me to get rescheduled at a convenient time. I would certainly hope my credit card or account was not charged for an error on Massage Envy’s part last night. The other side of this and the reason I am so upset over the situation is that I have been trying for quite awhile to get in to see someone so I can use the gift cards from my husband on my account. Apparently this is the only location I can use them at which is also disappointing as you hold my funds but I can’t use them because appointments by this location are not honored. I tried to book online again this AM and the appointment is 34 days out (Monday 4/22/2019 at the 6:30pm time). There was no weekend appointments available either for a 90 minute massage. That’s a really long time considering the inconvenience I have been put through by this location and I really don’t have the faith that waiting this long Massage Envy will hold to the appointment again. I was really looking forward to my massage last night. I’d really like to get in as soon as possible after normal working hours for myself which means 5:30pm or later weekdays or anytime on the weekends. There is absolutely no regard for my personal time or patronage to Massage Envy. This is the second issue I have had with this particular location and that is not fair to me as someone who pays for a service and the business’s mission statement is guaranteed satisfaction. I’m extremely upset that this business does not honor their service promise and I am let down yet again. At this point my preference would be for the gift card funds be returned to me so I may utilize those elsewhere. My membership ended in February. I was not informed that I had to fill out a cancellation form until they charged me. I went in to the location which is 40 minutes away from where i live to cancel the membership and the employee told me she couldn’t print the paperwork so she would email it to me. I could not fill out the form through email so I printed it and brought it to the location. After being told i would be refunded by 2 employees, the manager told me i could not be refunded. I will never attend another massage envy location and if anyone asks i will definitely not refer them. I have emailed Guest Relations 7 times with only one response over the last couple months. I completely hate this company for not addressing my complaints. I feel the managers are punishing me for their mistakes by ignoring me and allowing my monthly charges to continue. Furthernore I would like to say that I have missed work due to back pain and I am so furious that I am not getting help from Massage Envy, I am being charged for nothing, and the callous behavior of some staff overrides the mediocre and good massages I have received. I don't want to be charged any more. I've been a member for more than 4 years now, however yesterday I had a terrible experience. I did my appoitment for 6PM (for me and my husband, Carlos Moreno) when we got there (after rushing into traffic) we found out that the appointment was never done (they blamed a problem with the system)... They even looked if maybe it was done for next day (today) but it was not, so the manager who took care of us then made the appointment for today and she promised us due to the system problem our massages were complimentary. Today I got a call from other lady, her name is Blancha (she didn't want to give me her last name), she said she is also a manager and she said that are massages are not free. I really do not understand or accept this because more than twice I had problems and I didn't go to my appoitments and my massages were charged regardless. So I really deserve you to honor my massages without charge. I received two(2) 1 hour gift cards with gratuity from Massage Envy. When I went to schedule my appointment they said I had to give them a credit card so if I did not show they could charge me. I said I would rather drop off my gift certificate because I did not want my credit card on file. They said I could not do that. So after arguing for several minutes I gave them my credit card. I made the appointment for 11:00 AM a week later. As I was walking out my door to arrive early because they said I had to fill out paper work my phone rang, this was at 10:00 AM and I live approximately 20/25 minutes away. The therapist said I had missed the appointment and they were charging my card. I argued saying my appointment was at 11:00 AM and they disagreed. I asked for the manger. She was not in, but about two hours later she called. She told me that I was going to be charged. I told her again my appointment was for 11 not 10. She said it did not matter what I said they were going to charge me. But guess what, now she says she can deduct the charge from my gift certificate it I wanted to. NOW, all of a sudden my gift certificate can be used to deduct their charges when I was told that even if I took my gift certificate in they would not accept it to hold the appointment. If they can use my gift certificate now, WHY did I have to provide them with CREDIT CARD information. I do not like providing my credit card information and I stated so, but they say I could not even schedule a massage with out it, However now they can deduct it from my gift card. WHY, WHY did I have to provide my credit card information. Plus why should I be the one being punished when they said 11 and they put it down for the therapist for 10:00. I don't agree that I should be charged, but I am going to be, but why did they need to have my credit card information for the record if all along they could of used my gift card. I even told them I would bring the card to them , but they said that would not work that they HAD to have my credit card. That is why we have so many thefts of credit information and fraudulent charges on your accounts. I know this as a fact because it has happened to me. They said they called the day before, the only call recorded on my phone was from Pennsylvania. I do not answer calls from people I don't know especially people out of state. I live in Texas. Thank you for listening. You may not think this a proper complaint, but I have seen several items of this type (scheduling hours) of complaints on the internet. So I am not the only one having this problem. I really have two complaints the disagreement of the time of appointmen and the need for my credit card information. This was the Massage Envy in Conroe, Texas. I have been a long time member. I find massage envy to be a wonderful service and have referred over twelve people to memberships as well as treated some friends to a massage. I have been generally satisfied until recently. The customer service is so great at the Sherman Oaks location including the manager Jared. Recently, I started with the chemical peels as Bobby your front office employee suggested. I liked the service so much that I planned on having the service monthly on a continuous basis. I also started my 90 minute deep tissue massages once again because I was so happy with Bobby and others. On one of my massages the therapist complained that his wrists hurt and ended up not being a deep tissue as requested. I spoke with Jared and he apologized without offering anything. This was fine. My last chemical peel the in the first week of September the ethitician made a mistake by using the medium solution as said before the service. I did not say anything since she had my record and I trusted her. A few days afterward I did not have any peeling whatsoever. I called Sivaria and explained the situation in which she admitted using the acne solution. I usually have the strongest solution. She said she would speak with Jared and have him call me. I asked for a complimentary do over then she back tracked and said she did use the strongest solution etc. I felt lied to and not heard. I also always leave her $40 tip. A few days later I had a 90 minute massage and saw Sivaria in which again she stated that Jared was supposed to call me. I waited several days and then called leaving a message. I called many times after this leaving messages for Jared with NO response at all. It was over two and a half months later that I decided to have the owner call me regarding the situation. The next day Jared called me. I explained the situation. He said that he would have to speak to Sivaria not giving the benefit of the doubt and even though he had already spoken to Sivaria. He said he would call me back and if I did not hear from him I should call him. Disappointed again I have not heard from him, it has been two weeks. I should not have to chase him down. I feel I am not asking for much. I no longer feel comfortable patronizing this location even though it is walking distance. I also have a medical condition and cannot consistently utilize the credits for massages. I would like to end my membership but cannot use all of my 20 credits in a month. I feel trapped. I have over 20 thousand followers on various Social media sites and feel like describing my experiences. I need someone who understands the importance of professionalism and the value of customer service. I have been ignored and made to feel like I am a customer that does not matter. I am ready to seek a third party for help. I have two options, either i go to eye witness news' problem solver or get my husband to contact his several attorney acquaintances/colleagues to help me if there is no resolution. I am hopeful we can have an easy resolution. I have not asked for much. Thank you for your time. I was put on rescriction for telling my therapist what make me uncomfortable. Michelle the district manager did no investigating into my past appointments or cared how long ive been a member. She called my wife who now is to embarrassed to ever go back there. I want a phone call by noon today 11/14/18 because im sick of leaving messages at their corporate location. Have been to massage envy 410 baltown road, Schenectady ny 12304 and been bullied by store manager to buy into a membership and when I refuse and say no over and over again she bullies me rolls eyes make negative comments. I have had this happen 2 separate occasions and I need to know how I can get this bully to stop. I refuse to spend good money to have this lady bully me. I need to go for a massage and I am not ever going to take her comments again, If I go I will record and video her actions and comments and go to a higher source. I have been trying for weeks to reach a Manager to help me with my account. A week ago I inquired about freezing my account for a while and still be able to use the services. I was told over the phone that a form would be sent to me and I could submit it and pay $10 a month for six months and still be able to use my services or I could cancel my membership and have to use my 6 massages I have left during the 6 month period. I asked them to please not deduct anymore payments as I am having some financial woes and was told that she could take care of that. I did not receive the form all week so yesterday I called and asked about it and was told they didn't have my email address!! How could this be when I have had an account for 3 years and have not changed my personal email account. I was also told that I would have to pay $20 per month. When I informed the young lady that I was told it was $10, she said "it's changed". I asked to speak to a Manager today and was told they would give her my message since she would arrive at 12:30 p.m. I called at 2:40 p.m. Since no one had called me and it went to voicemail. I left a message again. I have asked several times to speak to the owner but they won't give me the contact information. I am so disappointed and frustrated at this time I don't know what else to do or who to talk to. My experience with Massage Envy has been absolutely terrible. One of the employees at the front desk has misled my boyfriend and I with the membership. In person, We made it clear that we were nervous about getting a membership for a year if we were NOT going to get more than a 60-minute massage for the price of $60 each/per month. The employee assured us that they had monthly add ons and that it would be worth the price. She whipped out this large colorful list of monthly add ons and pointed to them saying we could add one onto a massage each month. We double checked that we could use this with a *regular massage* because we were NOT interested in facials or anything else. We then signed the contract in March. We went back in April and used the first coupon with our massage (free extra 30 min). We were satisfied. Come May, we tried to use the coupon for that month and the employee told us that we had to purchase an additional facial to use the coupon. So then we were stuck with having to pay for an additional session (ON TOP of the monthly fee), for a *facial* that we did NOT even want, in order to use the coupon. We only wanted the *regular massages*. So that month we could only have the one massage that comes with the monthly fee. She said there was nothing she could do about it. We asked her about the other coupons, and it turned out that only A COUPLE of the add-on coupons could be used with a *regular massage*. The rest were for facials or stretching sessions etc. I talked to Corporate on the phone three separate times. Each time they gave the Massage Envy in Canton THREE separate notifications to assess the problem with me. Finally, after the third call to Corporate and the third notification sent to them, the same manager that I talked to in person called me saying that she remembers me from when I came in and that her decision WILL NOT change. I told her that I cannot afford to pay this price of $60/per month for one single massage! She then offered some other add ons for a massage. I did not accept because I did not trust their word anymore! She said that I was being dishonest and nothing else was done. I called Corporate back and they never responded. MY BOYFRIEND AND I HAVE NOT USED OUR MEMBERSHIPS SINCE THAT FIRST TIME IN APRIL. SO NOW WE ARE STUCK BEING ROBBED EVERY MONTH. So, as requested again and again, please CANCEL our memberships IMMEDIATELY. I have been trying to cancel my membership now for the last year and cannot get anyone to follow through with the request. I originaly signed up as Bridgette Hornbeck years ago and when I moved I tried to cancel. I emailed, I faxed over the information they wanted and left follow up voicemails to the Las Colinas location. I continue to be charged on my credit card. I am filing a formal complaint with the BBB and will looking to pursue this with an attorney as well if I am not credited back and this is resolved. At this point all correspondences should be sent via email for documentation purposes. Had a question about massages and payment. We had been overcharged once before. Seabrook NH store Candace from front desk hung up on me. Called back another girl didn't know when manager would be in. I received a gift certificate from my daughters that go to Massage Envy often in Massachusetts. I was welcomed very nicely, the massage was great, I was in a daze when I came out. Then, I was bombarded with get a membership pitch like sales over and over. It was a real shock to my system after the calm. I only get two or three massages per year, I will gladly just pay full price. They let me know that there was not enough left on my gift card to even get another massage... so, I said, " I will pay the difference". It was relentless and I am hesitant to even bother with the rest. However, I will give it another try and maybe do a facial etc. Just don't attack after a relaxing procedure. It is a lovely setting. I made and appointment a week in advanced i asked that if i would cancel appointment what would happen the girl said minimum of 24 hrs or we would charge you a hundred percent of massage i told her no problem set me up for Saturday, February 6th at 3:30 she put me in system somebody called me on Thursday to confirm that im showing up to have message with Nick at location 342 w Army Trail rd ste 120 Bloomingdale,IL i got a call at 1:10 the lady said sorry but nick went home sick and she didn't have any openings with any body else she wanted me to reschedule. I took off work on Saturday to go to this message and all the lady can do is say sorry im pretty angry i called back the office and they didnt bother answering the phone i received a 50$ gift car from my wife to go to this place and now i feel like going back to your store and getting my cash back so i can go to different place were they will take care of me and not waste my time if i would of canceled your company would of charged me but since he canceled appointment with me i get a sorry that's really unfair please contact me by phone or by mail my address is 764 N gary ave Carol Stream, IL 60188. Massage Envy is the place to go for a massage, especially if it is your first time getting one. The place is relaxing and soothing, the therapists are professional, and the whole experience just enjoyable. The prices are reasonable and they always have deals and specials going on to help with the costs. Will be going again soon! The entire reason to get a massage is to relax. Well, massage envy is not the place. It is a chain massage parlor so that is how I feel treated, like another customer. Every time I went, I got a different masseuse because the one I had prior either was at a different location or no longer there. I have had back issues most of my life and the three times I went to Massage Envy, I tried to explain this to the people. They kept looking at the clock and trying to rush me. I did not like it and will not be going back. Have feedback for Massage Envy?